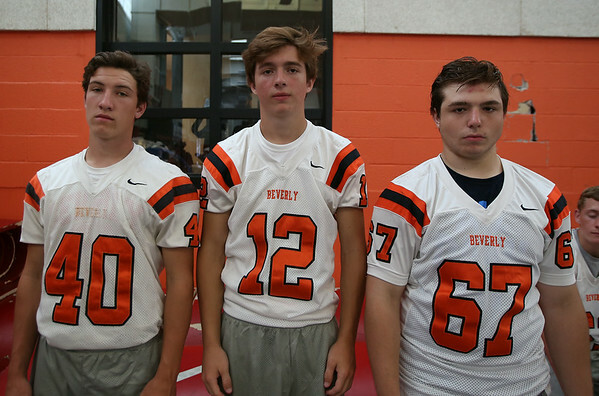 From left: Beverly Football Players Harrison Gallagher (40), Matt Carnevale (12), Chris Faust (67). DAVID LE/Staff photo. 8/22/14.